Brisbane is such an exciting city to explore. I only had a quick 48 hours in the city, and while I wish I’d been able to give it more time, you can still pack plenty of sights into two days in Brisbane. 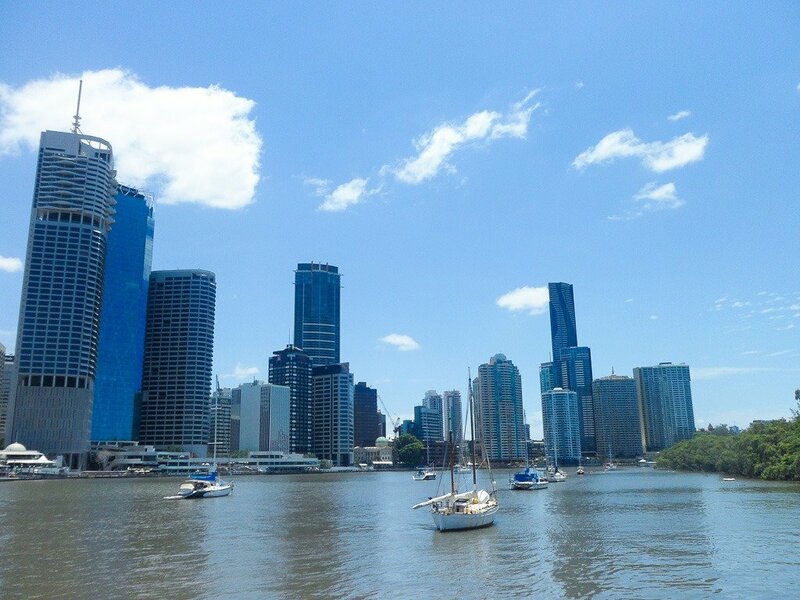 I almost skipped it on my tour of Australia’s east coast, but I’m so glad I decided to add Brisbane to my itinerary in the end. 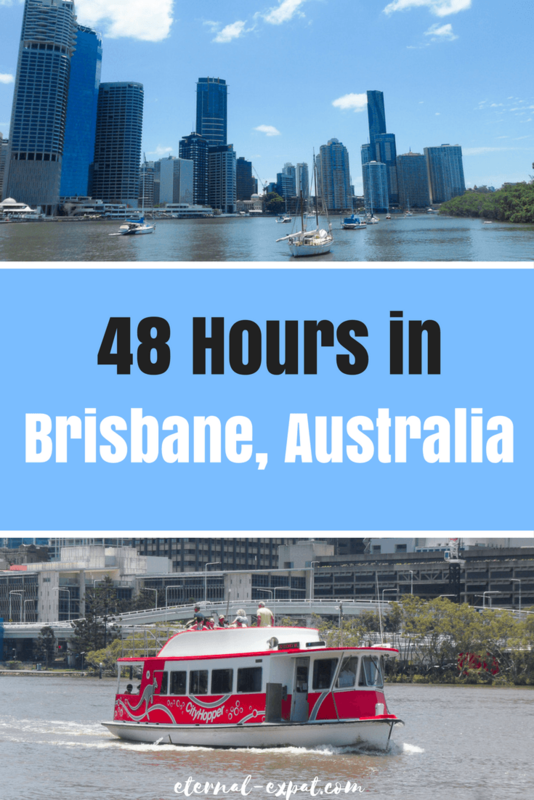 It’s a fun city with cool bars, great food, and some of the best coffee I had in Australia (anyone who has lived in or traveled around Australia knows this is a BIG claim!). If you’re only going to be in the city for 48 hours, you want to make sure that you get accommodation near Brisbane CBD. For a reasonably priced hotel with awesome views, check out the Hotel ibis Styles Brisbane Elizabeth Street. You can get a room that looks out over the river without spending a fortune. If you want to splurge, you can do that, too. The Sebel Hotel is my top pick for a bit of luxury. Although it’s a pretty big hotel, it feels like a small boutique hotel. There’s a great rooftop lap pool, a bar that seemed to be one of the most popular weeknight watering holes, and the rooms are gorgeous. There are so many places to eat in Brisbane, it can seem dizzying. I highly recommend heading to Swamp Dog one day for lunch. It’s one of the most popular spots for fish and chips, but what I really love about them is that they’re all about sustainable fishery. A lot of the fish on the menu is sourced locally. They also make seriously good fried calamari. Another great lunch spot to try is Mrs. Luu’s Vietnamese Canteen. It’s been a while since I’ve had a good Bahn Mi sandwich and the one at Mrs. Luu’s really hit the spot. It’s super affordable too, so great for those that are traveling on a budget. Just be sure to bring cash, they don’t take card and their onsite ATM will gouge you with fees. For dinner check out Madtongsan or Madtongsan II for seriously good Korean food. Their kimchi is some of my favorite that I’ve had outside of Korea and the portions are enormous, so you definitely won’t leave hungry. If you want to have a fancy night out during your trip to Brisbane, then book yourself a table at Alchemy. I ate here on my second night in the city and if I lived in Brisbane, it would definitely be a place I frequented regularly. It’s right along the river and almost every table has a nice view. I opted for the degustation menu which was a total splurge, but they also have an a la carte menu that’s worth every penny. I had many a good coffee in the short 48 hours I spent in Brisbane. There were a couple of cafes that stood out, where I liked to stop in for a long black or a flat white and a sweet snack. One of the best coffees I had was at Coffee Anthology. It’s a cool little cafe with seriously good coffee and tasty little cakes. They also have a pretty large breakfast menu with tons of healthy paleo and vegan options. My second favorite spot for coffee in Brisbane was Scout Cafe. It’s a tiny little place that just might have the best bagels I’ve eaten outside of New York. Have it savory with an egg or opt for their delectable toasted bagels filled with ice cream and toasted almonds. Either go well with their espresso. Brisbane is probably my favorite city in Australia for craft beer (although I still haven’t been to Perth). I stumbled upon so many funky little bars brewing their own beer. Even though I only had two days in this city, I still somehow managed to taste a fair few brews. One of my favorite craft beer bars in Brisbane is the Brewski Bar. Their selection of craft beers is enormous. Sample beers from all over Australia as well as a few international craft beers. Their burgers are pretty spectacular too, but if you’re saving yourself for s big meal later, just order a plate of their perfectly fried wedges. Brisbane Brewing Co. is a great little watering hole too. It’s in the hipster neighborhood of West End, which is totally worth a visit in its own right. They have a nice selection of their own craft beers on draft and a few other local beers to sample from other Brisbane brewers. It has a really nice outdoor space which filled up quickly the night that I went. Bring a few people with you and get some of their share plates to nibble on. While there aren’t a ton of tourist attractions in the city, there are still plenty of fun activities to keep you busy between your stops for coffee, food, and craft beer. 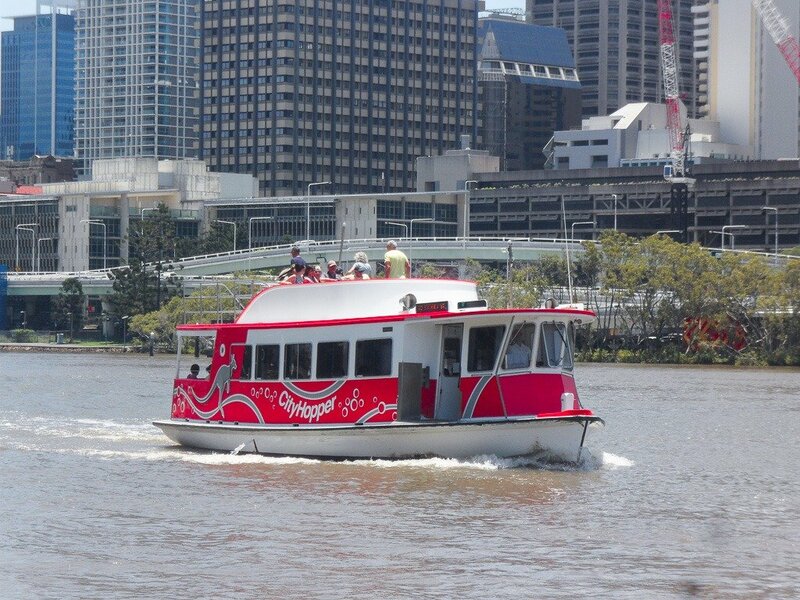 One of the best things I did during my trip to Brisbane was take a little ride on the ferry. It’s called the City Hopper and it’s completely free to ride. You can hop on and off as it stops along the river, or you can ride it in a loop back to where you started. It’s a really nice way to see the city and won’t cost a cent. The Southbank of the river is a really nice place to walk in the late afternoon as the sun is setting. There are restaurants and bars that start to come alive, people begin their commutes home from work, and the lights along the river light up the boardwalk. It has quite a magical feel about it. 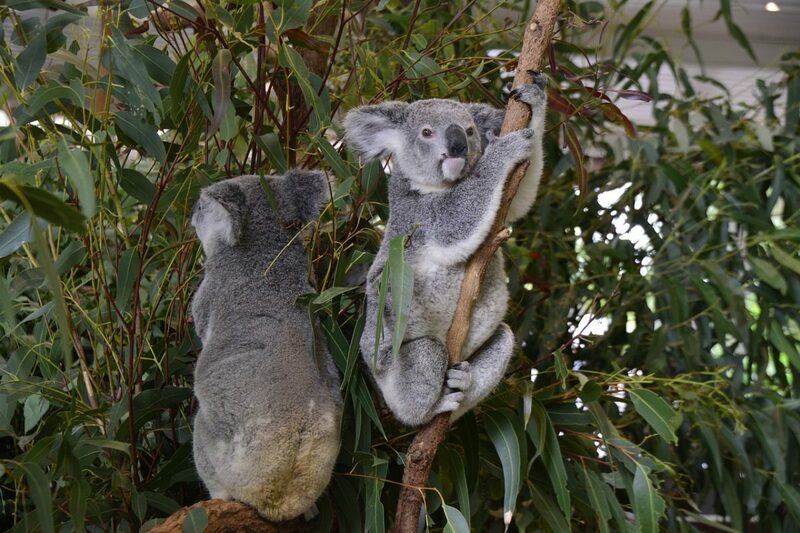 While you’re on the Southbank, be sure to check out the Queensland Gallery of Modern Art. The museum has a really beautiful modern design and the art is colorful and captivating. Admission is free and there are often screenings of different short films that you can see there as well.